We are a Christian run guest house, a project of BIBLICA formerly International Bible Society (IBS) adapting its new name after merging with Send the Light (STL). With modern facilities and ample car park space, the guest house has a total of 20 guest rooms, most of which are en-suite. All rooms have wireless internet access, television and phone. On the house tea/coffee is served round the clock for in-house guests at the dining room. Fresh food is guaranteed from our kitchen with a chef on duty throughout. A combination of work and relaxation can be made possible from the quietness of our two conference rooms (Galilee & Judea) that can host 20 and 150 people each. Our provision of conference stationery, white boards, flip charts, mineral water, tea breaks and meals will take the burden off the shoulders of those planning for meetings. A LCD projector is available on request. With a bookshop within the facility, one can take a break to read in the library as well as make purchases with special discounts for our in-house guests. 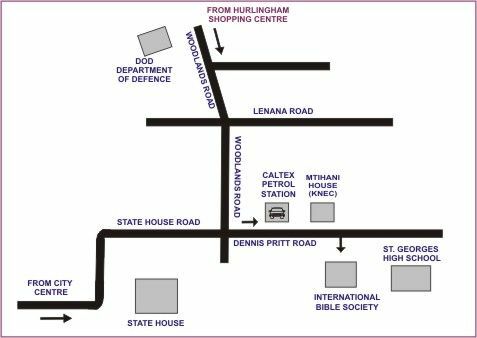 The friendly and helpful staff will make your stay at IBS-BIBLICA Guest house memorable.